Santorini is in the Aegean Sea not far from Crete. It is the remnants of a caldera left after the massive eruption of 1646 BCE. Santorini (near Crete) was the island and volcano of Thera which exploded around 1600 BCE. It is called the Monoan or Thera eruption. 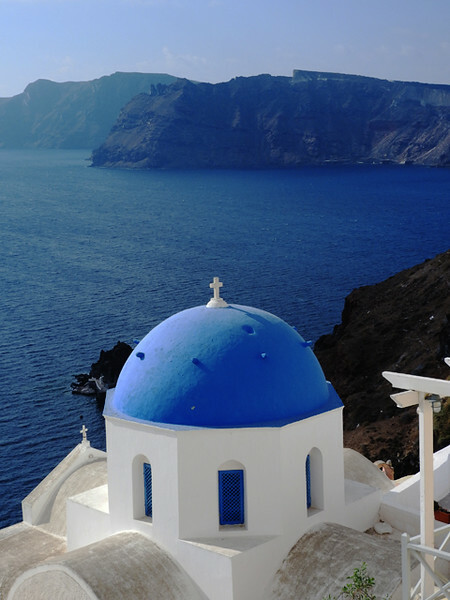 Santorini is a circular archipelago of islands which comprise the remnant of the volcanic caldera.